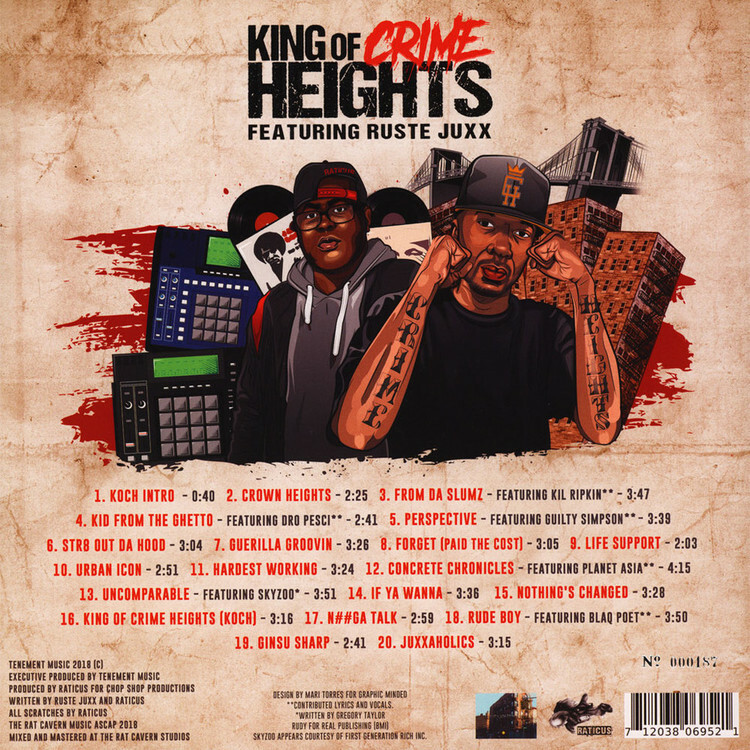 Continuing from the success of his last project with Vast Aire (The Heir Vast) Raticus is back at it again... Enlisting the skills of Crown Heights own Ruste Juxx to provide the voice and street perspective of the King of Crime Heights (KOCH). Ruste speaks his truth over the Boombap Theme music provided by Raticus. Brooklyn combining forces to put together 20 Original songs representing the classic Brooklyn sound. With guest appearances from Kil Ripkin, Guilty Simpson, Planet Asia, Skyzoo, Dro Pesci and QueensBridge's own Blaq Poet the presence of Hip Hop is undeniable.